Hon. Mark A Montour is seeking the position of New York State Supreme Court Justice for the 8th Judicial District. Mark Montour is a Town Justice in the Town of Lancaster and an Acting Buffalo City Court Judge. Prior to becoming Town Justice he served for twelve years as a Lancaster Town Councilman. 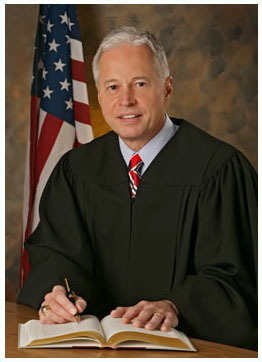 Justice Montour was named "Judge of the Year" for 2010 by the Judges and Police Conference of Erie County. Justice Montour initiated a drug diversion court in the town of Lancaster. The court is known as the Lancaster Problem Solving Court and is designed to assist individuals with drug abuse or dependency issues that led to interaction with the criminal justice system. Justice Montour oversees the treatment and progress of each court participant. Upon completion of the program the participant is free of their drug addictions and is employed, active in school, reunited with their family and their criminal charges have been reduced to a non-criminal level. * Lancaster Youth Bureau "Hall of Fame"
"Thank you for your contributions and support"